/Troubleshooting & Support /How Do We Enable/disable Debug Logs in Mangoapps Client? MangoApps client collects lots of logs regarding errors and events happening within the app to help us debug any specific issues. This can be enabled from MangoApps Preferences. 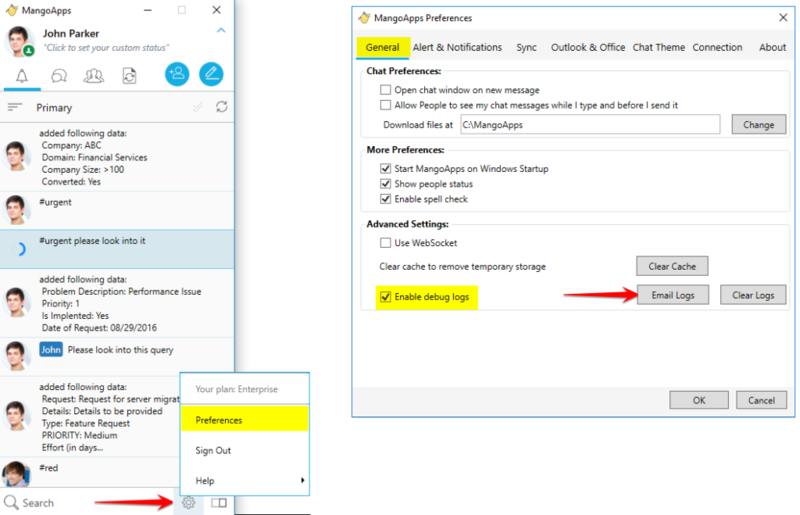 To Enable the debug logs in MangoApps for Windows client, go to MangoApps Preferences and then check the box “Enable debug logs” under “General” tab. To Enable the debug logs in MangoApps for Mac client, go to MangoApps Preferences and check the box “Info Level” or “Error Level” under “System” tab.